In the annual fervor of menu and event planning for Australia Day, I tend to forget that the 26th also marks a very special anniversary for me, personally. It will have been 17 years since Australia became my new home. Also, I somehow agreed to a DIY pig on a spit… It will be my first time doing the lot – with a little help from our friends – I just hope no one goes hungry! Any tips are most welcome. So here it is. I’ve ordered a free-range organic pig and together with two of our friends – an ex-chef and an all-things-smoked-pork lover we’ve been scouring the web for the best ways to brine, salt-rub, smoke and roast a 30 kilo pig. We look forward to the challenge, but any tips and words of wisdom will be much appreciated. Results will most likely appear on Facebook. If all goes a bit pear-shaped there’ll always be sides. I’m planning on burying some baby potatoes in the hot coals – a tradition left over from my childhood summer bon-fire days. So, good. I’ve also been asked to make a big batch of the Sauerkraut from the book and I plan to also have some chipotle sauce on hand. 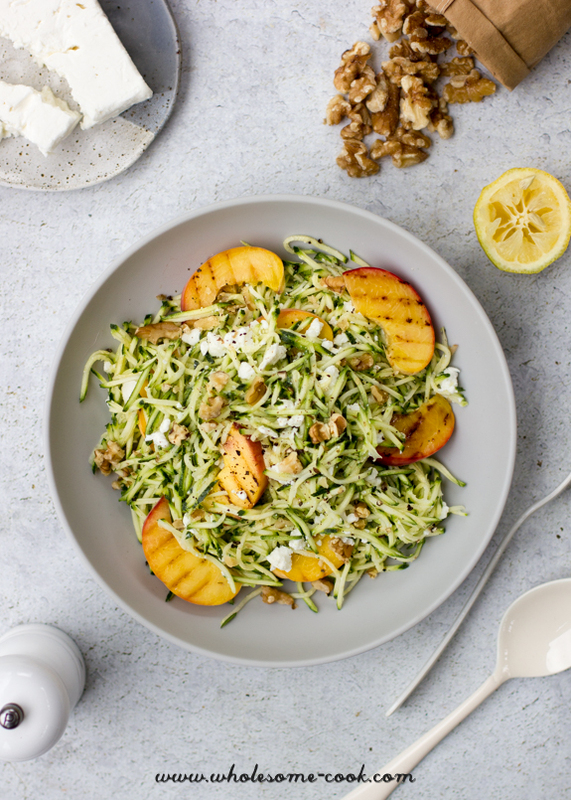 And, I thought that with stone fruit in season this green & gold zoodle and peach salad would be a good side to smoky, hot pork. It would also go nice with lamb, if you’re planning on lambing it on Tuesday. You could also turn it into a pasta number by adding some spaghetti or penne, gluten-free or regular, to the party. As mentioned. I tend to forget that the 26th also marks a very special anniversary for me, personally. This year, I will have also spent more than half of my life here. It’s more of a quiet celebration to be honest, a reminder of sorts. More so, even, than my actual birthday because once you turn 21 no one really keeps track, right? 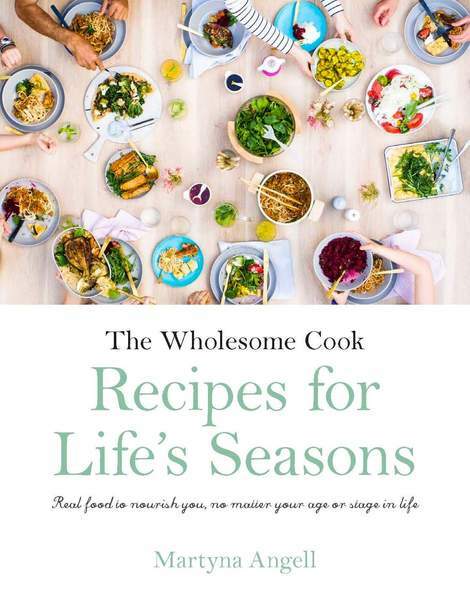 You can find 5 other delicious summer salad recipes – including my falafel salad on the cover, in the current issue of Nourish magazine. 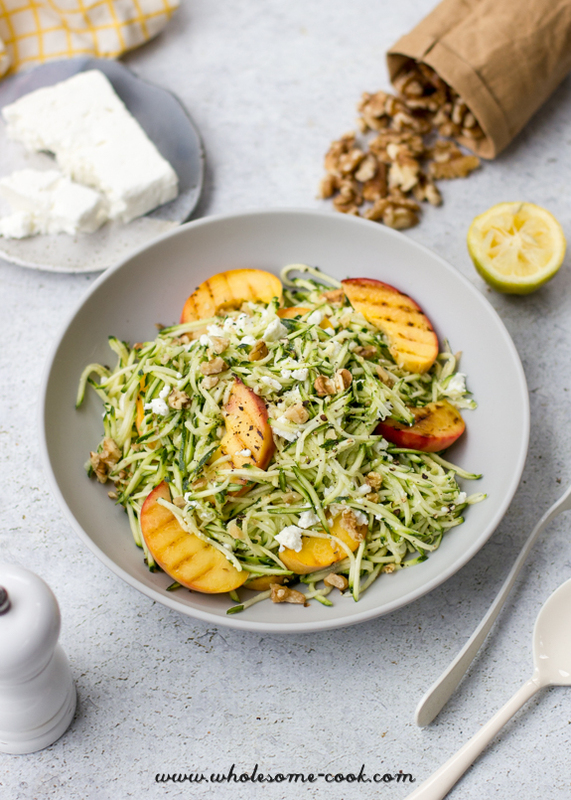 Opt for a slightly firmer peach for this recipe as riper fruit can be hard to slice into thin wedges. You could also turn it into a pasta number by adding some spaghetti or penne, gluten-free or regular, to the party. Heat a grill pan or barbecue to medium high. Cook the peach wedges for 2-3 minutes on each side. Remove from pan and allow to cool slightly. 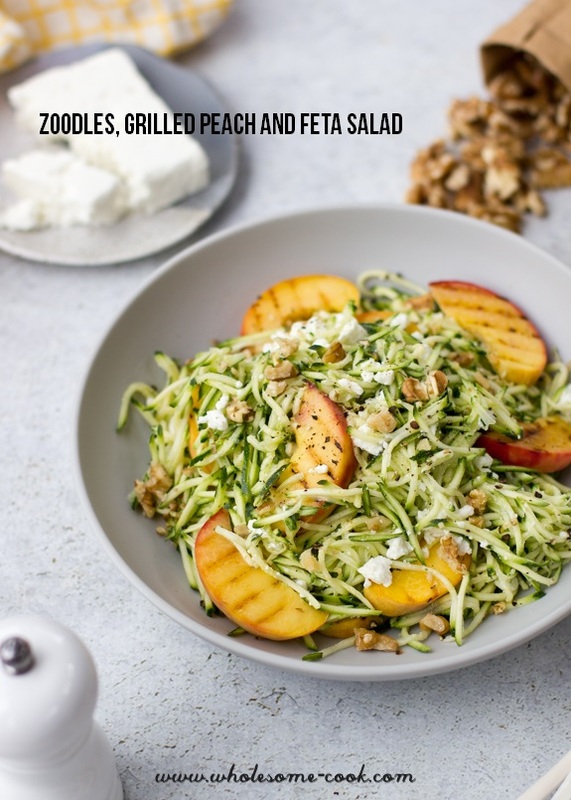 Meanwhile, using a julienne slicer or spiralizer grate zucchinis into noodles. Place in a large bowl and crumble in feta and walnuts. Mix together the lemon juice, rice malt syrup, oil, pepper and salt and pour over the salad. Add grilled peaches and toss to combine. Thanks Christen, I actually use a julienne grater that came in the set with my V-slicer. I got it from one of those Chalet kitchenware stands found in many shopping centres. It’s fantastic for grating carrots and the V-slicer makes wonderful shredded cabbage (for sauerkraut) and finely sliced veggies for salads and soups. Yum sounds so refreshing! I’ll have to make it and pretend that it’s already spring over here in NY. 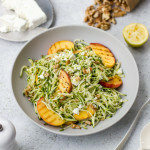 feta with grilled peach is such a brilliant combination! Lovely carb free meal that is.